BIRMINGHAM, Alabama — Luther Strange has made another major and critical campaign blunder here in Alabama, bringing aboard his team a highly controversial campaign operative whose history puts her crosswise with Strange’s biggest endorser to date. 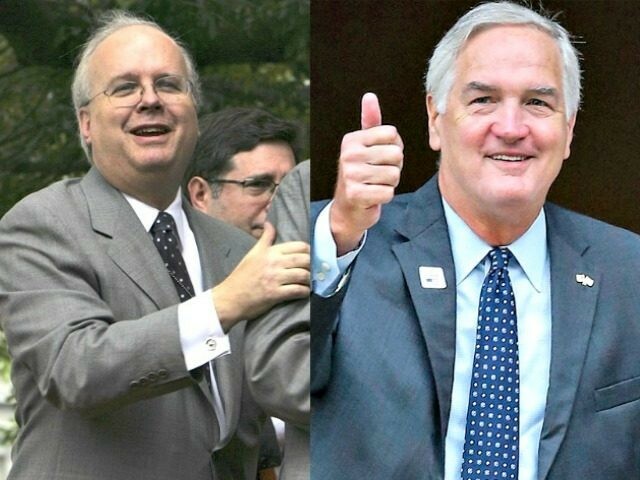 Strange, who has been struggling mightily to gain any traction here in Alabama’s special election since the primary heading into the Sept. 26 primary runoff, has now brought in the former chief of staff to President Donald Trump’s arch-nemesis, Karl Rove. Politico’s Daniel Strauss first reported the news that Kristin Davison has joined the Strange campaign. Michael Joffrion remains campaign manager. Chris Wilson is doing data. And Jeff Roe is still general consultant. But Davison, a highly controversial operative, was, per another report, “relieved of her duties” after just a few days as Putnam’s campaign manager. She was removed from the campaign manager position as a result of her lack of ties to Florida—and because she was seen as a Rove acolyte sent from Washington, D.C., to influence the election rather than win in Florida. “Davison seemed to some on the outside to be an awkward fit for the ‘Fresh from Florida’ operation, as the bulk of her professional experience was with national GOP impresario Karl Rove,” A.G. Gancarski wrote on FloridaPolitics.com. During Davison’s time as Rove’s chief of staff, Rove launched many missives at President Trump. For instance, in an Oct. 21, 2015, op-ed for the Wall Street Journal, Rove bashed Trump as running a substance-free campaign based solely on populist anger—something he said would not lead him to winning the presidency. Mr. Trump has proven he can do outrageous. But soon Mr. Trump must demonstrate that which he has so far avoided: substance. Republicans, too, face a test: Will the party choose a nominee with a conservative agenda or one reflecting populist anger? The two are hardly the same. Conservative principles provide a winning path to the White House. Populist outrage alone will end in defeat. In three months, Republican primary voters will begin deciding which they want. A good start would be to demand more from The Donald. Obviously, Rove turned out to be entirely incorrect in his assessment there. Davison’s last day as Rove’s chief of staff was Oct. 23, 2015, per an email she sent out to people that was later posted online, which means she was chief of staff for Rove when that aforementioned piece was written bashing the president. She went on to work for the presidential campaign of Sen. Marco Rubio (R-FL), who was viciously anti-Trump during the primaries as well—even at one point suggesting foul things about the president’s manhood. But her old boss Rove, whose legacy she built her career on, would continue to bash Trump in his various platforms, including the Wall Street Journal. After another fact-challenged attack against Trump under Rove’s byline in the Journal in the spring of 2016, the now-president-of-the-United-States called up Breitbart News to directly challenge Rove and the Journal. Rove said in that April 2016 op-ed against Trump in the Journal that “Vanity Will Be The Donald’s Undoing.” Obviously, Rove was wrong again—and Trump would go on to win New York just a few days later with more than 60 percent of the vote before he would storm his way to the nomination and then the presidency. That Strange would hire someone on his campaign who is so vehemently anti-Trump as Davison flies in the face of the president’s endorsement of the appointed unelected senator. Of course, before the Aug. 15 multi-candidate primary, Trump backed Strange via Twitter. That was when Strange faced multiple opponents, including Rep. Mo Brooks (R-AL) and former Alabama Supreme Court chief justice Roy Moore and state Sen. Trip Pittman. Pittman has endorsed Moore, and sources close to Brooks say that while he has not yet done so, he is likely to formally endorse Moore soon. Combined, Moore, Brooks, and Pittman totaled well over 60 percent of the vote in Alabama’s GOP senatorial primary’s first round. Strange finished right around 33 percent. Strange has not improved his standing since primary day. Shana Teehan, a spokeswoman for Strange, has not answered when asked why hiring the highly controversial Davison—whose deep ties to Rove have already lost her another campaign job this year—is anything less than an insult to President Trump. What’s more, Teehan has also refused to answer whether Strange agrees with President Trump that Rove is a “dishonorable guy” who should be barred from writing for the Wall Street Journal. Strange continues to refuse to appear on talk radio, and will not speak with supporters of the president. And now with his emerging deep ties to Rove, it appears that Strange’s true colors are shining through. Davison is hardly the only link between Rove and Strange: Steven Law, the man who led Rove’s group American Crossroads for years, is now helping a group pumping millions of dollars of attack ads into Alabama on Strange’s behalf. Moore and Strange are facing off in a runoff here in Alabama on Sept. 26, and it remains unclear whether President Trump will continue to support Strange. The Washington Post has reported that the president is considering backing off his support, and the morning after the primary the president tweeted congratulations to both Moore and Strange. Multiple sources close to the president have confirmed the Washington Post account to Breitbart News, and said that they believe that Trump is unlikely to come to Alabama to campaign with Strange—and is unlikely to get involved any more in this race. In an appearance on Laura Ingraham’s nationally syndicated radio program on Thursday morning, Moore hit Rove and Senate Majority Leader Mitch McConnell as likely being behind the effort to get Trump to endorse Strange in the first round of voting—as well as criticizing the president’s son-in-law Jared Kushner on that front. But he hammered Strange’s opposition to Trump’s efforts to change the U.S. Senate voting rules back to a simple majority to pass legislation. Strange sides with McConnell against the president in opposing any change that would eliminate the 60-vote threshold in the Senate to pass legislation. This hiring of Rove’s ex-chief of staff is just the latest setback for Strange’s campaign, as Judge Moore surges in the polls. Two recent surveys have found Moore towering over Strange with majority support in Alabama—while Strange struggles back down around the low 30s in terms of percentage. A JMC Analytics survey conducted Aug. 17 to Aug. 19 found Moore up at 51 percent, while Strange is struggling down at 32 percent, and 17 percent are undecided. 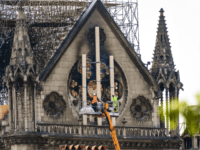 That survey had a margin of error of 4.3 percent, and included 515 respondents. A second poll, from OpinionSavvy and Decision Desk HQ, of 494 respondents found Moore with a similarly commanding lead up at 50.3 percent while Strange is suffering down at 32.2 percent. That poll, out on Aug. 23, has a margin of error of 4.4 percent. A separate poll from Harper Polling found Moore at 47 percent and Strange at 45 percent, while a Senate Leadership Fund-created poll found Moore up by four points. Former Alaska Gov. Sarah Palin, the GOP’s 2008 vice presidential nominee, endorsed Moore as well in a Breitbart News exclusive. Strange has similarly come under fire for the millions upon millions of dollars that Senate Majority Leader Mitch McConnell’s allies at the group Senate Leadership Fund have pushed into the Alabama primary. The McConnell-linked group has run vicious and factually inaccurate attack ads against Moore and previously against Brooks here in Alabama, ads that have largely backfired since in the primary on Aug. 15, Strange finished far below expectations, six points behind the surging Moore. Senate Leadership Fund is run by Steven Law, Rove’s ally. Teehan, Strange’s spokeswoman, has repeatedly refused for weeks to answer questions about Strange’s Rove ties through Law. Now, with the hiring of Kristin Davison, the matter only gets deeper—and the Rove network has sunk its teeth directly into Strange himself. As a result of all this, and more, Alabama political experts say that Strange is in awful shape right now. The way Strange got the position is also problematic: He was the state’s Attorney General, and was investigating then Gov. Robert Bentley, when now U.S. Attorney General Jeff Sessions vacated his Senate seat to lead the Department of Justice. Strange was appointed into the Senate seat by the governor he was supposedly investigating. Then some time later the governor was forced to resign as a result of the scandal that Strange was supposed to be investigating. Strange has not answered detailed questions about that matter either. “Strange has denied any wrongdoing or collusion with the former governor. But Bentley’s conviction on two misdemeanor counts and subsequent resignation in April led to current Gov. Kay Ivey calling for the special election,” AL.com wrote.